Establishments with catastrophic potential are defined in the FY 2015 Departments of Labor, Health and Human Services, and Education, and Related Agencies Subcommittee Reported Bill and Draft Report as those that operate a process covered by OSHA’s Process Safety Management Standard (29 CFR 1910.119) or the EPA’s Chemical Accident Prevention Provisions (40 CFR 68). This proposal would nix an existing Senate prohibition against inspections of employers with fewer than ten employees and low injury and illness rates. The change is related to a spate of regulatory activity that followed the 2013 explosion of a West, Texas fertilizer plant, such as Executive Order 13650: Improving Chemical Facility Safety and Security. It is another indication that companies of all sizes need to pay greater attention to their chemical footprint and ensure controls are in place to manage chemical safety for the well being of employees as well as the community at large. 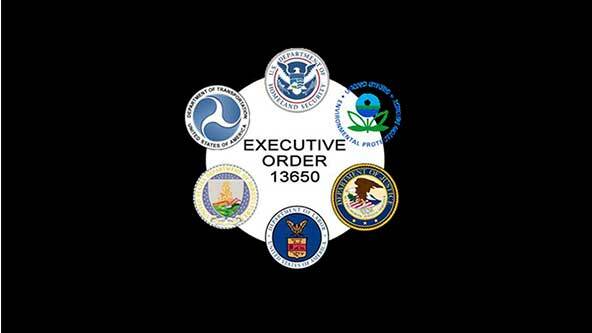 Agencies carrying out Executive Order 13650 are also working on improving communication between businesses with hazardous chemicals and State Emergency Response Commissions(SERCs) and Local Emergency Planning Committees (LEPCs), as well as first responders. Read more here. MSDSonline recently released a new chemical inventory mapping feature that allows companies to easily create a visual map of their chemical footprint that can be useful in communicating information quickly to employees and first responders during an emergency.